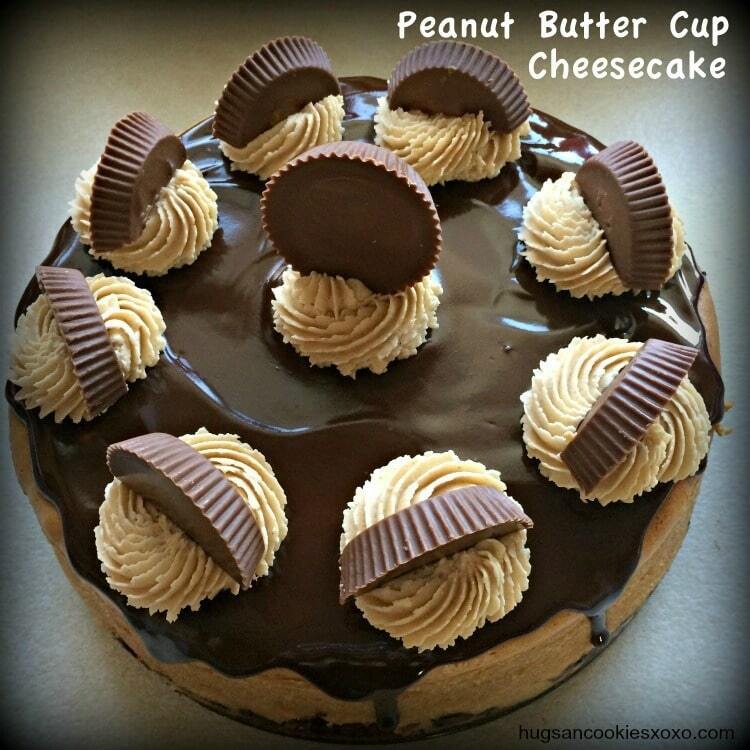 This cheesecake is for serious peanut butter lovers. 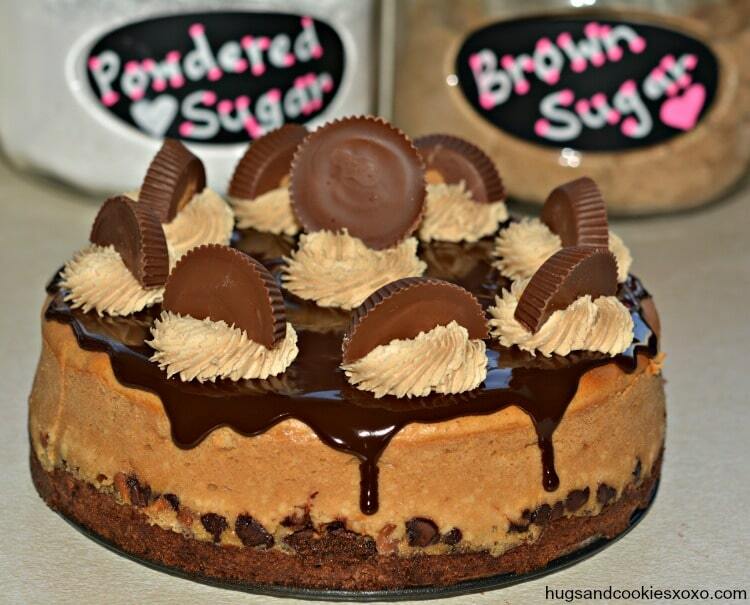 We are talking about peanut butter cheesecake, peanut butter frosting and REESE”S peanut butter cups. Need I say more? Well, I suppose I should mention the delicious brownie bottom, too! Be sure your springform pan has 3 inch sides before making this. Then, it is a perfect fit! Enjoy! Butter a 9-inch spring form pan (must be about 3″ tall or overflow problems! ), line with a parchment round and butter the parchment. *Note, some people had trouble with a 9inch pan so you may want to try a 10 inch but mine worked perfectly in the 9 inch and many commented it worked fine for them, too. Just a heads up! Stir together butter, sugar and vanilla in a bowl. Stir in flour, cocoa, baking powder and salt. Spread in prepared pan. Bake about 25 minutes. Beat cream cheese in bowl of mixer until smooth. Add eggs, one at a time. Add sugar, peanut butter and cream. Mix until smooth. Wrap foil around springform sides and set in large roasting pan. Add hot water to roasting pan so it comes up 1 inch the sides of the pan. (You are making a water bath) Place entire roasting pan in the oven. Bake at 325 for 90 minutes. Run knife around edge and chill at least 4 hours. Microwave cream till hot. Add chips and let sit a minute. Whisk chips until melted and smooth. Pour over the top of the cake. Chill. Cream peanut butter and butter together in stand mixer with whisk attachment. Gradually add powdered sugar. Whip on high speed until light and fluffy. Transfer icing to a piping bag and pipe swirls around and one in the center. 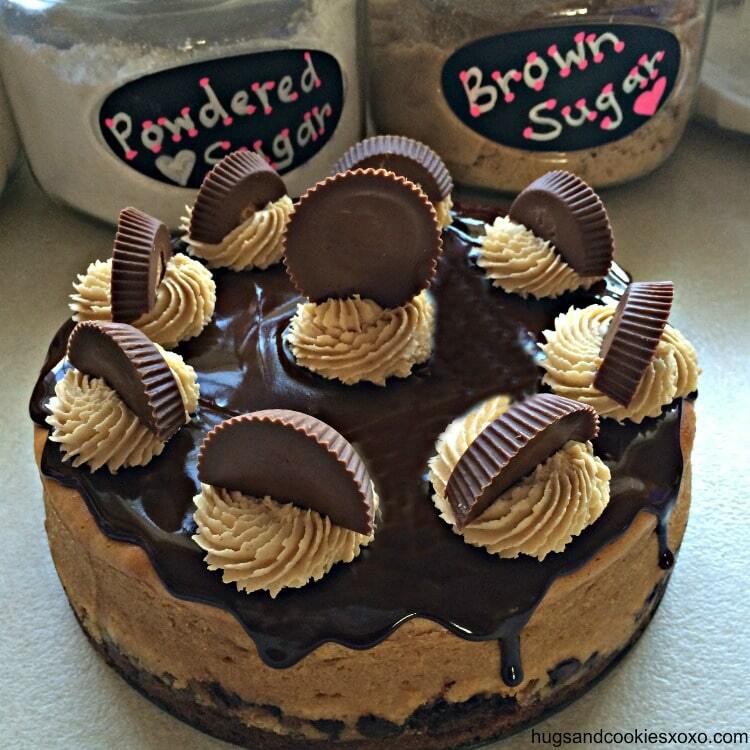 Top each with ½ a peanut butter cup. 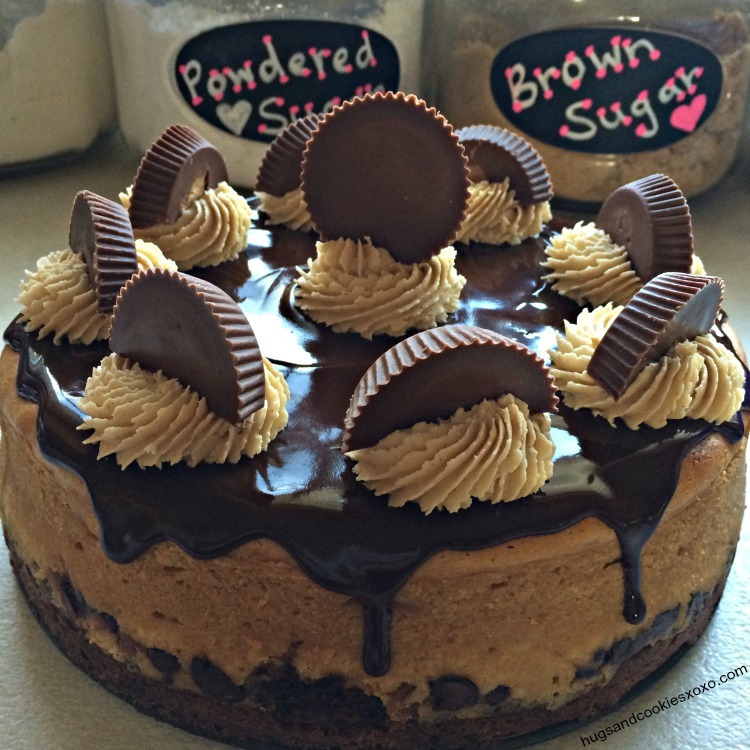 This entry was posted in Interesting Food Facts, Miscellaneous, Other People's Recipies And Pictures on November 21, 2014 by bonnie. Updates On Baby Ava – "Prayer Chain For Baby Ava"
Updates on Brooke Haire – "Prayers For The Haire Family"